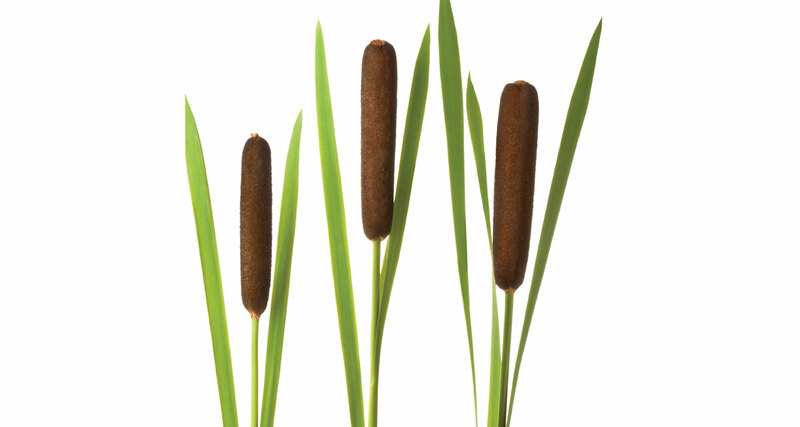 There’s a kind of plant that grows in marshlands called Typha latifolia, or more commonly, “cattails.” These are those tall reedy-looking plants that resemble a cat’s tail, or even a corn dog. My mom had an arrangement of them in our formal living room when I was growing up. For her sake, I’m very glad YouTube didn’t exist back then because if it had, I would have undoubtedly broken every one of them open. If you don’t know what I’m talking about, go to YouTubeand search for videos that show “Break a Cattail.” It’s like a nature version of Dr. Pimple. It’s hard to believe that those plants can hold so much, but what can I say? Cattails are just another sign of God’s ingenuity and creativity! They are really cool to watch. And the insides are used for all kinds of things—stuffing cushions, building materials, making paper, and other purposes. Part of the cattail is supposedly even edible, though I’m a little skeptical on that point. As I think of a cattail, I can’t help but think of us and our spiritual gifts. Peter wrote, “As each has received a gift, use it to serve one another, as good stewards of God’s varied grace. . . .” (1 Peter 4:10). We can look at a cattail and think it’s just a weird-looking plant. Or, we can break it open and see how much it has to offer and how many different ways it can be used. We may say that we don’t have a gift or talent, but that’s a lie we tell ourselves. The truth is, we are just like a cattail. We may be an average, ordinary person on the outside, but God made us unique. And if we can break through the insecurities, doubts, and lies we tell ourselves, we can allow our God-given talents to break through and serve others. We can find ourselves in the position to be the hands and feet of Jesus through the gifts that He bestowed on each one of us. Our talents aren’t going to look just like someone else’s. While it’s tempting to wish we had someone else’s talent, God gave YOU the exact kind of gift you have because YOU are the right person to own your unique brand of talent. Isn’t that an incredible, humbling, and special thought? And the reason God did that is found in Romans 12:4, which says, “For as in one body we have many members, and the members do not all have the samefunction….”As the body of Christ’s Church, our gifts are unique in order to best support the Church. After all, if the body were covered in thumbs, we wouldn’t get much done, would we? We need different people and different gifts. Watch how a broken cattail’s fibers burst out of the casing and scatter in the wind… Imagine that is you. How could your gifts, once you let them go, scatter and benefit the kingdom of God? If you aren’t sure what your gift is, pray for the Holy Spirit to show you. Then let Him use you and your gift to His purpose. Previous ArticleHow Clean is that Fridge?